Beijing International Center for Mathematical Research (BICMR) is a mathematical research institute sponsored by the national government of China. Its goal is to build a world-class mathematical center. The Instituto Nacional de Matemática Pura e Aplicada (IMPA) is widely considered to be the foremost research and educational institution of Brazil in the area of mathematics. It has been acknowledged as being a Post-Doctoral Center of Excellence on an international level by the Third World Academy of Sciences (TWAS). The two Institutes will offer a joint post-doctoral position for a young Chinese mathematician with excellent academic performance. The appointee of this position will be selected jointly by the two Institutes. It will last for 1-2 years at BICMR and 1 year at IMPA. The salary of this position during the appointee’s stay at BICMR is 12000 RMB per month (before tax). The salary during his or her stay at IMPA will be paid by IMPA according to its standard for post-doctors. The two Institutes will share the cost of travel between the two countries. 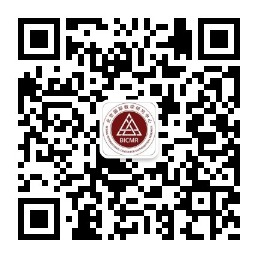 The joint post-doctor will also share all the benefits of a post-doctor in Peking University.Applicants should submit the following documents: 1) Application form; 2) CV; 3) list of published and accepted papers; 4) Three reference letters. Please send these materials via email to the personnel of BICMR.